Our bright and brilliantly pleated Fans and Drapes will make sure your courthouse, festival, or ceremony set a patriotic tone. These patriotic decorations are perfect for not just Independence Day celebrations but also ideal for patriotic holiday celebrations. Show your national pride with these charming and quaint fans that can be put up any time without the fear of fraying. 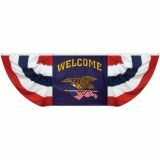 These are great choices to decorate with our national colors and can be used well during patriotic gatherings, parades, summer parties and in fact anywhere you want to have a patriotic touch. 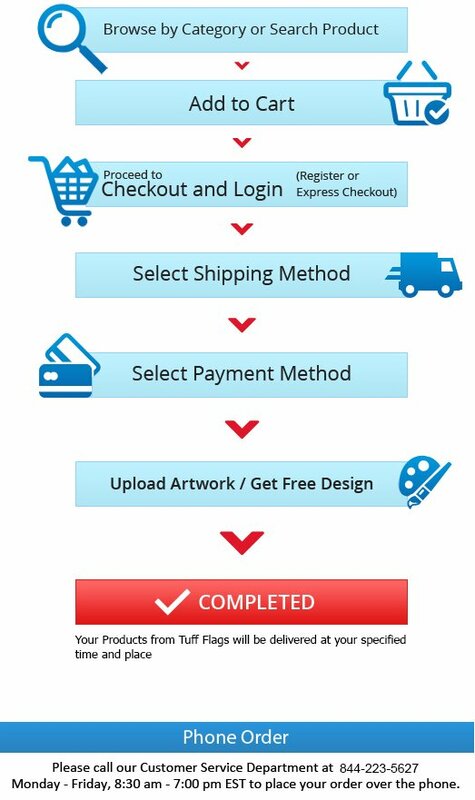 Shop from our collection of Fans and Drapes and find the best prices, quick shipping and much more! 100% customer satisfaction guaranteed! Fans and Drapes from Tuff Flags are perfect options to decorate windows, entranceways, buillding fronts, fences and more. These especially look good combined with street pole mounted flags creating a All-American atmosphere through the area, These Fans and Drapes from Tuff Flags will be a perfect alternative to show the national colors in a traditional style. Choose from a range of sizes and models to bring out that perfect display. Printed with high resolution UV resistant ink, these flans will retain their beauty and brilliance for a very long time. 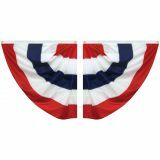 Highlight your national pride during Independence Day or other national holidays like Memorial Day, Veteran’s Day and the 4th of July with these fans and drapes that create colonial charm. 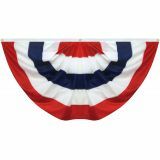 Our Fans and Drapes are great for hanging both indoors and outdoors. 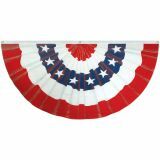 These delightful US Pleated Fans will leave a long lasting impression at great prices. These pleated fans can be folded back to their original pleats to ensure a wrinkle free storage. 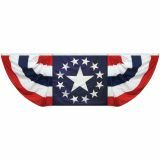 Ideal for decorating government building, parks, festivals, political events, military events, and memorial ceremonies, fans and drapes enjoy a timeless charm. 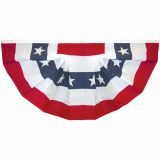 Created to perfection, these fans and drapes always create a patriotic atmosphere with ease. Browse our collection to shop for US Fans and Drapes and choose a model matches your needs. 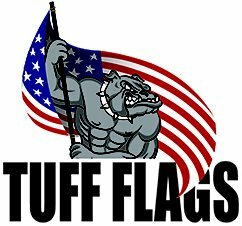 Should you need tips or assistance to get started, call (888) 287-3524 or email us at customercare@tuffflags.com today and we'll help you to make the right selection.